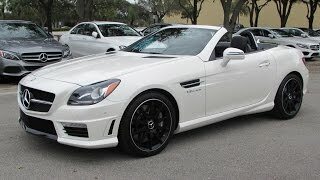 The 2012 SLK55 AMG is already the third generation of the exclusively dynamic Roadster model made by AMG. It all started in 2001 with the SLK32 AMG. 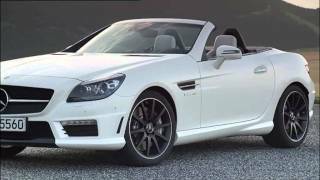 Its supercharged AMG V6 engine with a displacement of 3.2 liters produced 349 hp and maximum torque 332 lb-ft - as such, the SLK32 AMG was the most powerful vehicle among the competition. At the end of 2004 this was followed by the SLK55 AMG. With its AMG 5.5-liter V8 engine, which developed 355 hp and 376 lb-ft of torque, it also took the lead in its segment. No other vehicle in this class offers a large-displacement eightcylinder engine - and Mercedes-AMG has remained consistently true to this philosophy with the successor model. The new 2012 SLK55 AMG will celebrate its U.S. market launch in early 2012.